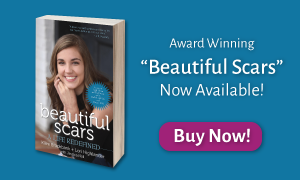 Kilee and her mom, Lori Highlander, have published the book “Beautiful Scars” to share their story of hope and healing, and to help other families facing seemingly insurmountable odds. A portion of the proceeds from “Beautiful Scars” will benefit Shriners – Cincinnati. 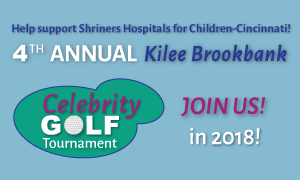 Since 2015, Kilee Gives Back has raised more than $230,000 for Shriners-Cincinnati. 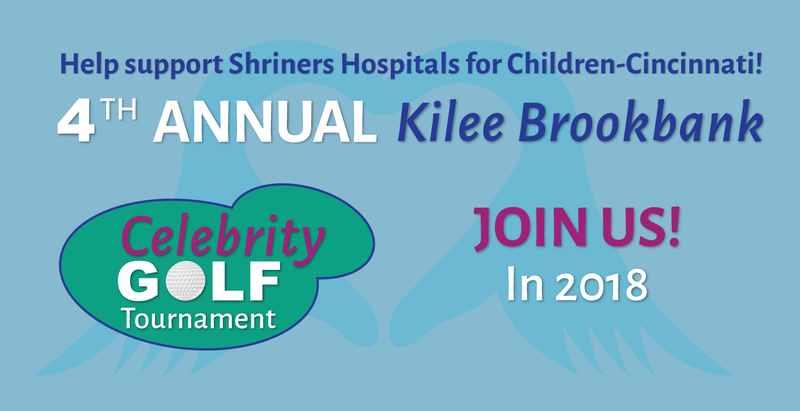 Help us continue our support by playing in or sponsoring the Fourth Annual Kilee Brookbank Celebrity Golf Tournament, August 27 at Elks Run Golf Club in Batavia. Learn more! 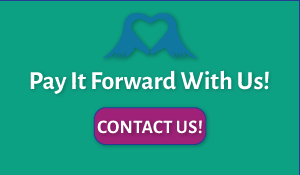 Are you interested in sponsoring a Kilee Gives Back event? Would you like to donate an item for our silent auction? We appreciate your support! Located near downtown Cincinnati, Shriners Hospitals for Children – Cincinnati is designated by the American Burn Association and the American College of Surgeons as a Verified Burn Center, meeting the highest standards of burn care. Its inpatient and outpatient units are designed to allow children to recover in a safe, fun and friendly environment. Every member of the staff – from surgeons to therapists, nurses to orthotists – is focused on providing the highest quality care that places the family at the center of the team.